One month ago, in the latest sign that Turkey is seriously considering leaving NATO as its relationship with the security bloc (and the US in particular) continues to deteriorate, Turkish Prime Minister Mevlut Cavusoglu warned in early May that the country would retaliate if a bill being pushed by House Republicans to block the sale of 116 F-35 fighter jets to Turkey becomes law. Emerging in response to Turkey's potential purchase of Russian S-400 missile defense systems, the measure was criticized by Cavusoglu who said it was wrong to impose such a restriction on a military ally, alluding to the fact that Turkey has graciously allowed the US to use its Encirlik air base to launch its air strikes against ISIS (as well as against Turkey's enemy the Syrian regime of Bashar al-Assad). In retrospect, Turkey's veiled threats fell on deaf ears and late on Monday the US Senate voted to block the transfer of the F-35 fighter jet to Turkey, reflecting not only US unwillingness to cooperate with any counterparty that does concurrent deals with Russia, but also increasing tension with a NATO ally, in a move that could ultimately hold up the sale of 100 warplanes worth close to $10bn. 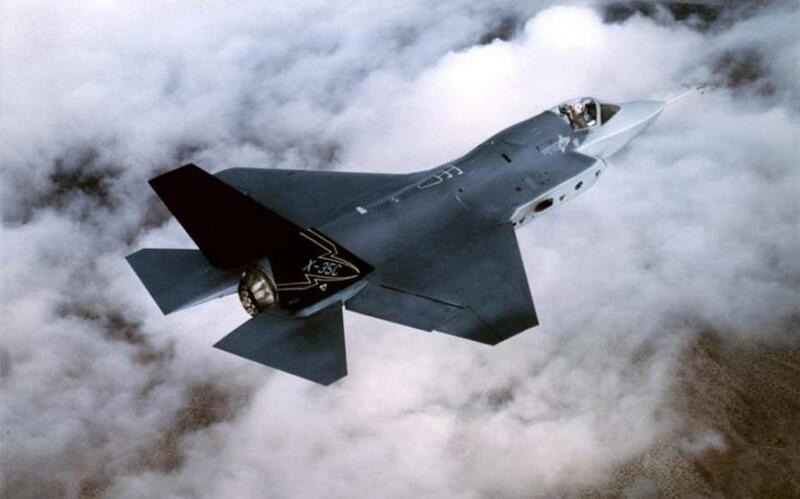 As the FT reports, a bipartisan clause added to the National Defense Authorization Act, and passed by the Senate late on Monday by a vote of 85 to 10, will prohibit the transfer of F-35s to Turkey until a plan is submitted to cut Turkey from participation in the program. As we previewed last month, senators predictably made the intervention given concerns over Turkey’s intent to install the Russian-built S400 air defense system, which Pentagon officials fear would put the secrets of the F-35 and the data it collects at risk. It's not quite an international diplomatic scandal quite yet: last night's vote is just the first step of the process: the bill, which must still be passed by the House, could undergo further changes in the reconciliation process and is not expected to become law until later in the summer. Understandably, Turkey was angry: Binali Yildirim, Turkey’s prime minister, described the Senate decision as “lamentable” and against the spirit of the Nato partnership. In comments published by the Turkish broadcaster Haberturk, he also said Ankara was “not without alternatives” and would not be weakened by the move. An additional reason for Turkey's ire at the Senate decision is that the nation has been one of 14 NATO members that helped construct the stealth jet, along with the UK, Norway and Israel. Ironically, the US decision meant perhaps to weaken Erdogan's regime, could backfire: the Senate vote came just a few days before critical Turkish elections in which President Recep Tayyip Erdogan is seeking to drum up the support of nationalist voters. Analysts quoted by the FT said that the move could serve to bolster the Turkish president, playing into his narrative that foreign powers are conspiring to damage the country. The Senate decision will also not help boost relations between the two NATO allies which have reached their lowest level since Turkey’s invasion of northern Cyprus in 1974. An effort to rescue the relationship was launched earlier this year by Rex Tillerson, then the US secretary of state, and his Turkish counterpart Mevlut Cavusoglu, who set up several committees aimed at resolving the sticking points. The process has continued with Mr Tillerson’s successor, Mike Pompeo, and last week the two sides reached a preliminary agreement for a US-Kurdish militia, which Turkey views as a terrorist group, to leave the strategic Syrian town of Manbij at Turkey’s request. Efforts to restore relations will now be hurt by the decision in Congress, which analysts say could lead to tensions rising again. F-35 maker, Lockheed Martin, said it still expected to hand over the jets to Turkey in a ceremonial exchange in Texas on June 21, however that now appears questionable: Turkish pilots are due to be trained on the F-35 in-country, but the warplanes themselves are not scheduled to leave the US for at least a year, giving the Pentagon time to find a solution in order to honor the new law if it passes.